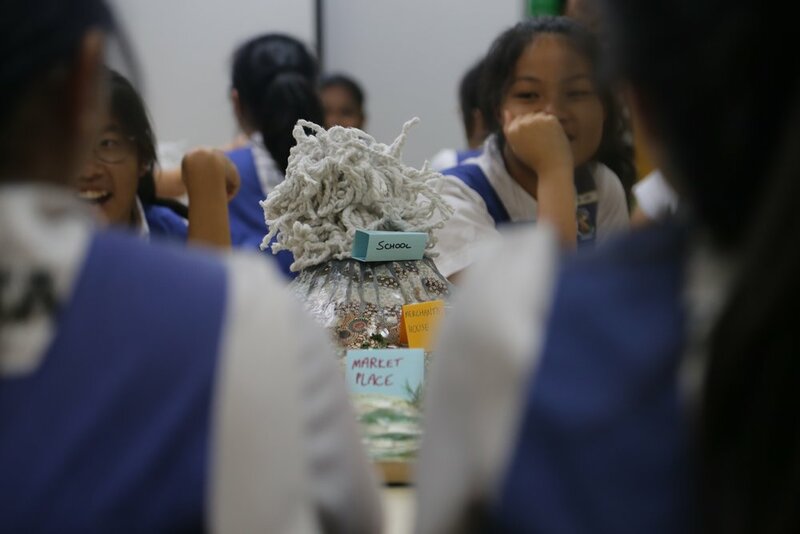 Over 2016-19, Boho was commissioned by the Earth Observatory Singapore, a research institution based at Nanyang Technological University, to produce a series of new games exploring natural hazards. Formed following the 2004 Boxing Day Tsunami, Earth Observatory looks at natural disasters in the south-east Asian region: earthquakes, tsunamis, typhoons, volcanoes, floods, and various consequences of climate change. EOS brought Boho to Singaore to build a series of new games about natural disaster crisis – volcanic unrest or an approaching typhoon. Working with EOS scientists, we created a series of games simulating the period from the first warnings of the disaster, to the event itself. Participants take charge of responding to the crisis, playing as local government, the media, emergency services, members of the community, or even as a volcano itself. 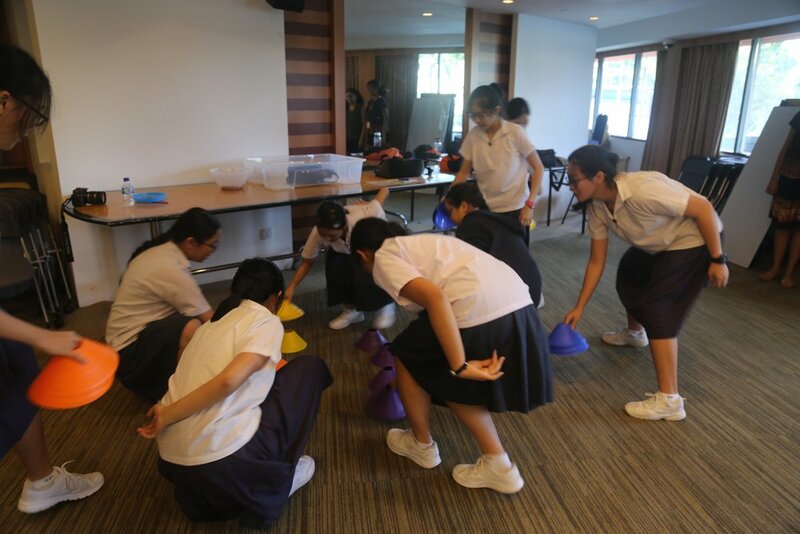 Following a final development in early 2019, these games have been installed at the Singapore Science Centre, where facilitators present them for groups of secondary school students and the general public. For this project, Boho was delighted to be joined by designers Gillian Schwab and Julia Johnson - we’ve been fans of their work for a long time, and it was a dream to let them guide the aesthetic for these pieces. This work supports the EOS mission to use research on earth systems to foster safer societies. Players will gain an appreciation of how earth science can help better inform decisions about keeping people safer in the face of natural hazards. They will also experience how societal decisions are challenging, involving many tradeoffs under uncertainty. Following an initial research phase in 2016, Boho and designer Gillian Schwab developed a prototype set of games in early 2018. In 2019, Get The Kids And Run will be presented by partners including the Singapore Science Centre. A game exploring the challenges for farmers in making the decision to evacuate or stay in the face of uncertainty. A fast-paced game of dexterity and decision-making in which players must try to gather their family and evacuate a town before it is flooded by storm surges. Players take on the role of mayors of different towns facing reelection. While they try to manage their election campaign commitments, they must also try to prepare for the typhoon which is threatening to impact them on election day. 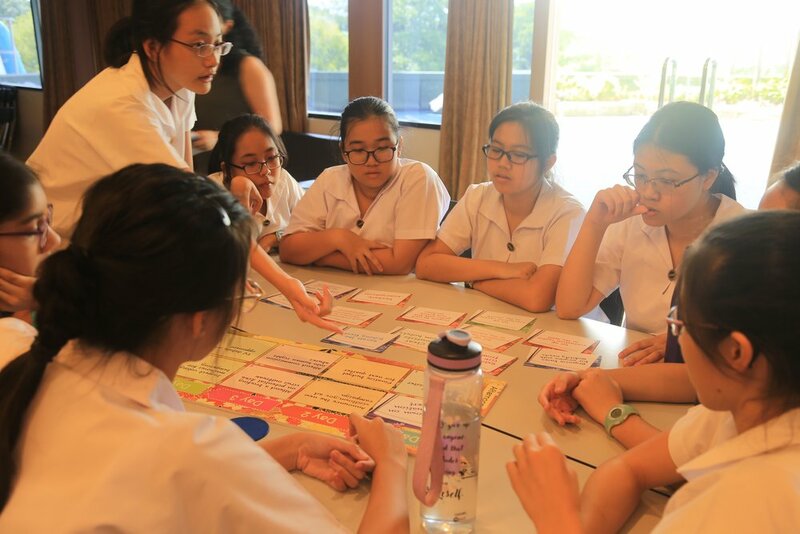 A game which looks at the barriers which prevent people from evacuating when an alert is issued, and the ways in which the community can come together or split apart in a crisis. A card game in which a volcano attempts to erupt without warning the nearby town, and a scientist tries to outwit them. A team of government bodies in a high pressure situation must work together to deal with rapidly evolving crises in managing evacuation shelters, helping evacuate livestock, all the while attending regular press conferences. If you are interested in hosting a session featuring one or more of these games, please don’t hesitate to get in touch.